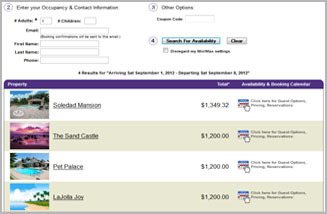 You Need Better Booking Software for Your Rentals! 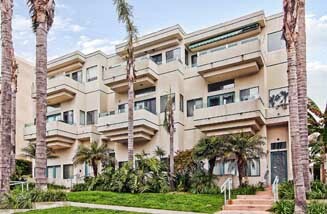 Bring your vacation rental business into the Internet age, and see how much easier your life can be! Impress your customers. Eliminate double-bookings. Save time! Automate your vacation rental business with Bookerville! Integrate into Your Website - embed your Bookerville public availability & booking request calendar directly into page(s) on your own website(s), complete with custom colors! 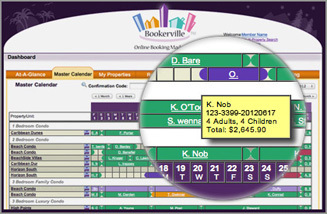 Payment Collection - Bookerville can be configured to automatically collect payments from customers when they are due. Automatic emails can be setup for payment reminders, past-due notices, cleaning crew reminders, key-swap offices, door codes, and more! Multi-user support - for your Agents, Owners, Cleaners, and other partners. Assign certain permissions to users for any of your properties. Also, you can serve as an agent for other property managers. Contract Generation & Digital Agreements - set up a custom contract template, and it can be included in your emails, with pre-populated guest details, amounts, and much more. Guests can be forced to agree to the contract before proceeding. Custom Email Templates greatly simplify your correspondence with guests, prospects. Availability Search across all of your properties. Results show photo, pricing, quick links to go straight to booking request for each listing. Custom Colors to match your website, blog, Facebook page, etc. 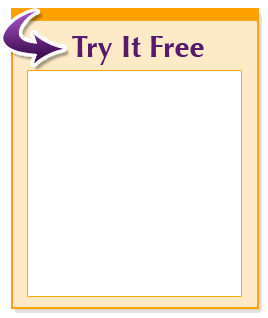 Also, use your own header graphics in the generated emails and your public calendars. 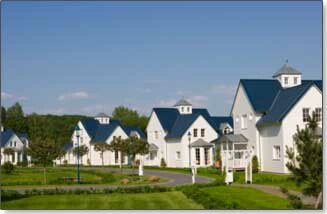 Comprehensive Minimum Stays - whole-week bookings, special holiday weekends, and more. Offer Custom, Value-Added Upgrades which are presented to customers during the booking process. 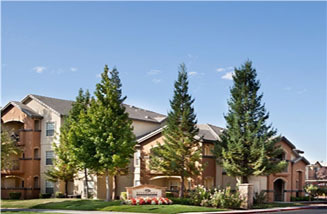 Comprehensive reporting, support for tax-exempt guests, over-occupancy surcharges, multi-day discounts - and so much more! 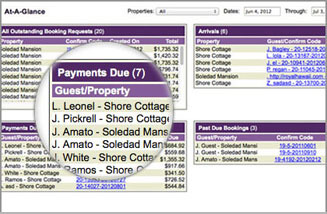 Check out our Features & Pricing to see how we can make managing your vacation rental properties easy! No one does it better: Bookerville is the smart choice. It usually takes less than 20 minutes to get your calendar up and running. Take advantage of our free, no-obligation 30 day trial. Need more time? Just ask! Our comprehensive set of short How-To Videos will walk you through every feature! We are here to help you: to get started, and to keep going!